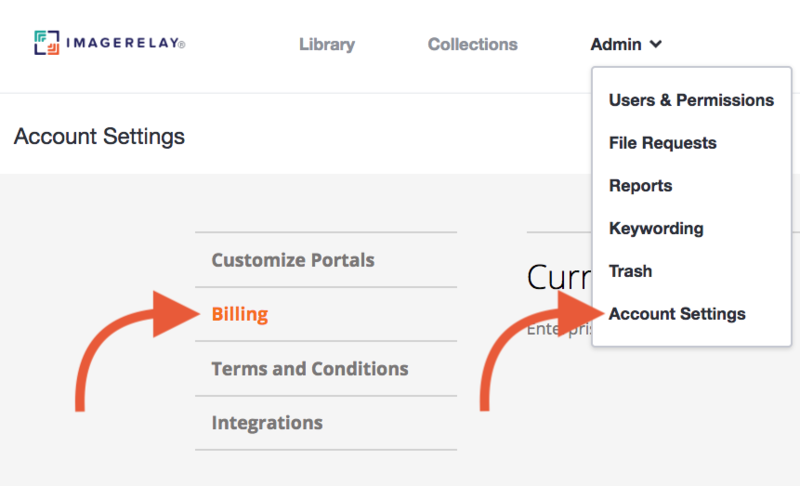 You need to be the Master User to access the Billing section. Go to Admin/Account Settings/Billing. Click on the Add Storage/Add Bandwidth. There you may view your current storage, and add storage blocks if you are choosing to grow your library. The upgrades will be applied to your next billing cycle.